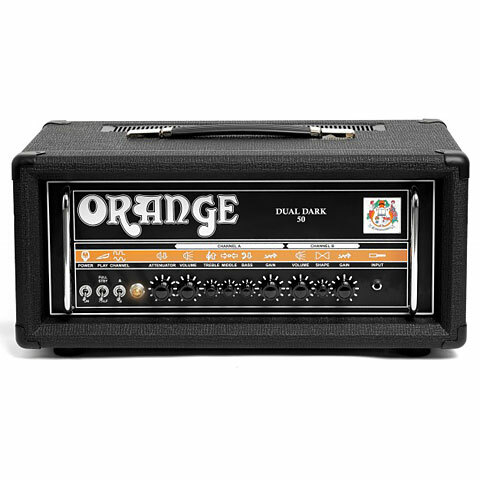 The all-new Orange Dual Dark Series is a range of high-end dual channel amps. Put simply, these amps showcase Orange Amplification at their most innovative. The new amps build on the brand’s reputation for creating the ultimate British guitar tone. Bringing a new dimension of sound that delivers potent combinations of tone. Launching at NAMM 2014 are the 50 Watt and 100 Watt versions, both feature footswitchable attenuators and Orange’s signature low impedance effects loop design. The Dual Dark 50 has an output that can be switched to 50 or 25 Watts. Output on the Dual Dark 100 can be switched to 100, 70, 50 or 30 Watts. Both amps come with standard EL34s fitted but other tetrode valves can be used when biased correctly by a technician. The Dual Dark amps have been built with state of the art components backed by Orange’s ever evolving design and deliver the biggest amount of gain available in the history of our amps.